I'll be featuring people again in my Nostalgia entry today. This would be my second entry for Nostalgia meme hosted by Rose of Nostalgic Marveling. So, let's take a trip down to nostalgia lane. 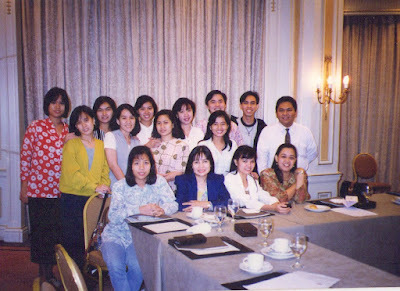 The photos I am sharing here are my former officemates. I miss those days with my old friends. I lost contact to some of them. Where are you guys? Have not heard about you for ages. Oh, please zoom in to see me. Haha. I'm in the second row wearing big smile, next to the guy in white polo longsleeve. Oh well, those were the days.. I've been searching for this girl in blue jeans and polo top. She's my partner in crime. But I can't find her online. I hope she gets the chance to browse this page. They're my friends from one giant telecom company today. I still have in contact with one of my friends here. I am not sure if she visits this page as I have this link in my FB account. She would be very surprise with our old pics here. Guess what, she's prettier and looks younger after 15 years. I saw her in my FB, she does 10km run, she's slimmer and in perfect fit and I am but a chubsahm now. Do you still recognize the guy? 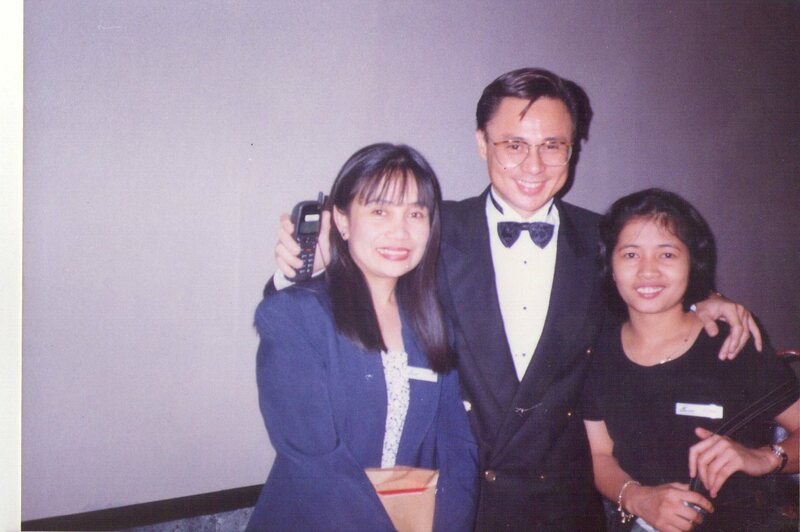 He is Bryan who made smart a big hit when celfone was first introduced into the market. I felt nostalgic with my past.. 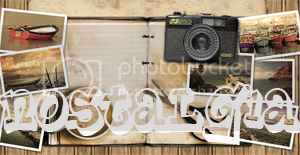 I'll be featuring 80's music next week should there be unlimited theme for nolstagia #3. I am so into 80s. Please click the badge above for more Nostalgic past. Thanks to Rose of Nostalgic Marveling for letting us share memories of the past. Grabe kasexy mo talaga sis then hehehehe, pwede pa yan ibalik. jog ka everyday hehehe or bili ka treadmill para kahit sa bahay pwede ka magexercise... Srap balikan ng past ano sis, kakamiss ang mga kaopisina and kaberks. Okidoci, almusal muna ako, nAagluto si hubs hehehe. Im sure you miss all the wonderful memories with your friends and mates sis. Gone are days diba that we always wearing this big grin and smile hehehe. No theme for nostalgia i guess so we could go on 60's,70's hehe pwedi panahon ni jose rizal siguro hehe just kidding. Oizzt mommy Nuts, we have a bit the same nostalgia, friendships or mates.. hehehe.. it's really great walking down memory lane.. I haven't dig-up my pictures because I was having fun with Lakers lately.. u know.. I did it while watching, in times of advertisements or time-out.. ;-) So then.. happy nostalgia mommy Nuts.. muahhh! 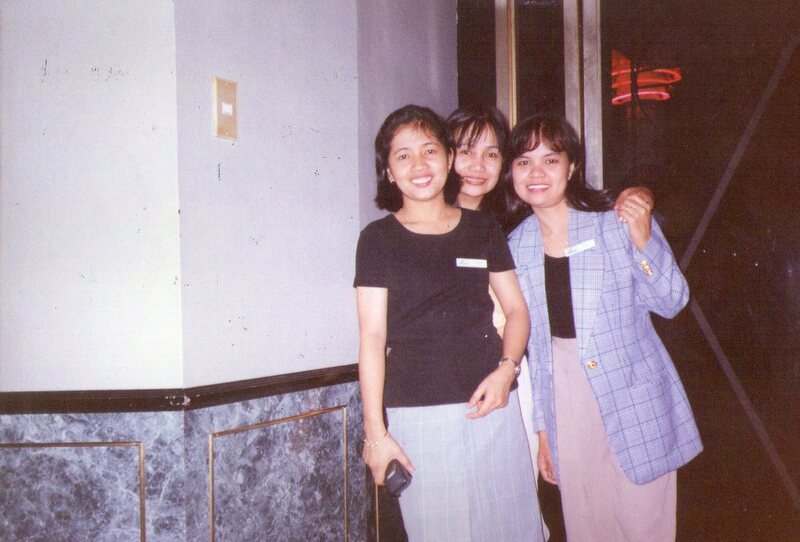 Ay, sis retrong retro... sus the blazer, the beeper, the celphone, the hair, that's my first celphone too.... hahahahha! awwwww, those were the days ... thanks for the drop..
ka seksi mo dito ah...at ang saya saya nyo pa :-)...thanks for sharing them to us, Nuts. 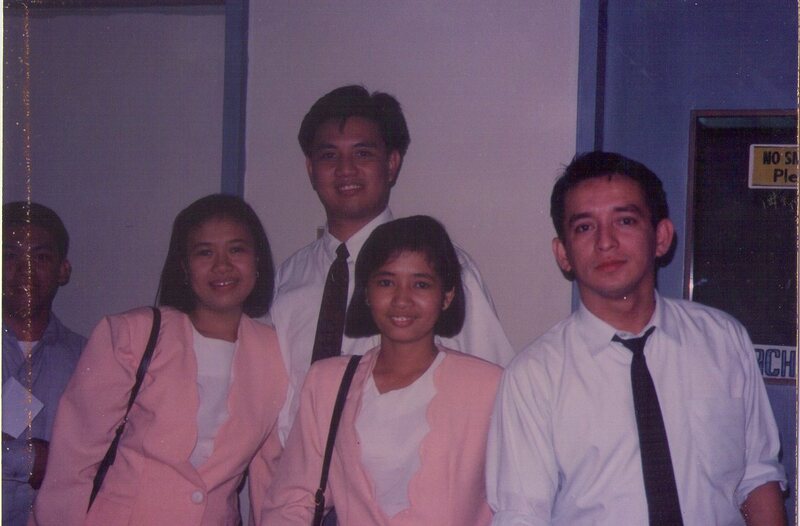 I zoomed every picture te para sure...ehehehhe...my gosh, nasa grade 2 pa ako sa pics na ito...ehehehe! 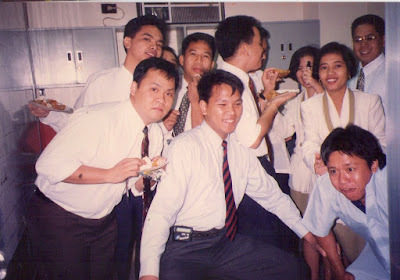 daming gwafo na officemates mo te...ehehehe....joke! These pictures are really nostalgic. It's good see these happy smiling faces. nice entry sis..thanks for the comment anyway. Hay naku ganyan din ako kapag nag no nostalgia, kasi nami mis sko rin mag work. Dati ang payat ko nong working pa ako, ngayon ang taba ko na, la na kasing ginagawa kundi kumain, matulog at mag internet, hehehe!